Working in palliative care can be intensely demanding yet enormously rewarding. To enable health professionals to actively engage in this field of work, emphasis on appropriate self-care activities is essential. Participating in a variety of professional and personal practices assists staff to be effective in their roles as well as mitigating the possible effects of stress and burnout and avoiding the potential damaging impact of vicarious traumatization or compassion fatigue. 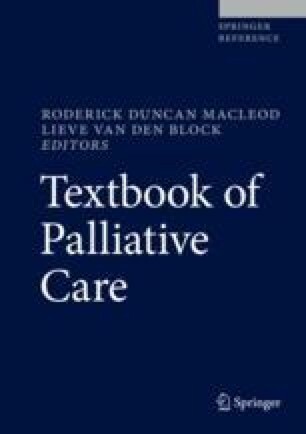 This chapter explores the palliative care work environment and identifies potential stressors. A range of activities is suggested that have been shown to be effective in mitigating the impact of various occupational stressors. Stamm BH. The concise ProQOL manual, 2nd ed. Pocatello, ID: ProQOL.org. Swetz 2010.